Handmade Gift and Shopping Guide | The Meandering Musings of a Consummate Shopper Handmade Shopping Guide: OOoooh Pretty! That shops ALMOST makes me want to take up crochet work. Almost. 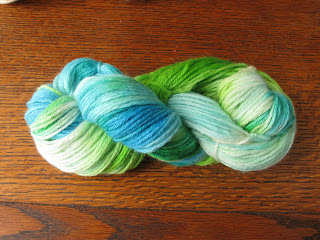 I love the colors of the yarn- so yummy! Wow, I don't use yarn either, but this shop makes me want to! Gorgeous! It makes me want to knit or crochet too!